In the ‘60s and ‘70s, Los Angeles’ Laurel Canyon played host to one of America’s most vibrant creative communities. Artists such as Jim Morrison, the Eagles, Jackson Browne, Buffalo Springfield, Joni Mitchell, James Taylor and Carole King were all part of this scene, where hippie idealism and country-nostalgia flowed freely among each other. Since that golden age, the Canyon and its products have served as a perennial source of inspiration, with a particularly earnest revival of the vintage sound in the past decade. Devendra Banhart, Fleet Foxes, and First Aid Kit can all be considered disciples of this epoch. 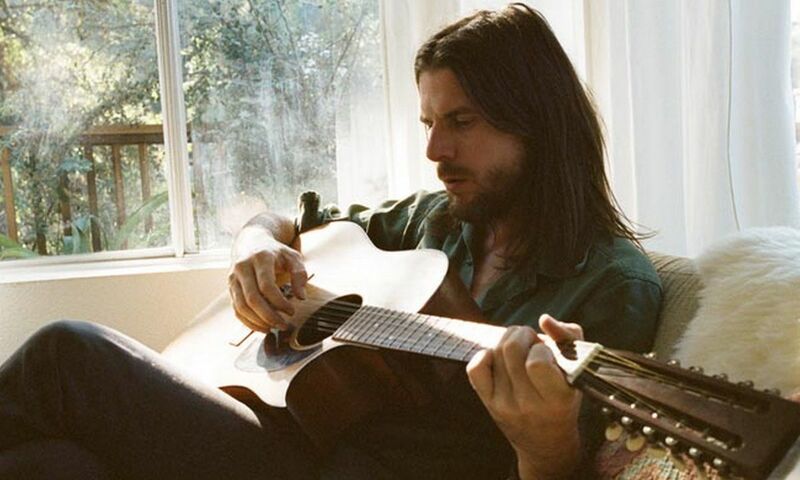 As of late, however, the preservation of the Laurel Canyon tradition may have no better friend than Jonathan Wilson. Originally hailing from North Carolina, the Los Angeles transplant has no shame in hiding his influences, nor in showing off his impressive list of friends. On Fanfare (2013), his critically acclaimed sophomore album, Wilson symbolically features first-generation Canyonites like Graham Nash, David Crosby, and Jackson Browne, alongside newer descendants like J Tillman (Fleet Foxes, Father John Misty), Taylor Goldsmith (Dawes), Dave Scher (Beachwood Sparks) and Patrick Sansone (Wilco). A venerable producer in his own right, his Fivestar Studios relocates famed vintage analog equipment from Laurel Canyon. A sonically detail-obsessed craftsman, his exhaustive analog-based mixing process represents what he calls the “next generation hi-fi.” His recording credits include recent releases from friends Conor Oberst, Father John Misty, and Dawes. First and foremost, Wilson is a romantic. Intent on reviving the community spirit of the glory days, Wilson also hosts a weekly jam at his home, a resurrection of the “Wednesday night pickin” his father held in North Carolina for 20 years. With neighbors like Jenny Lewis (Rilo Kiley), Gary Louris (The Jayhawks) and Chris Robinson (The Black Crowes), and other guests that Crosby, Nash, Elvis Costello, and members of Pearl Jam and Maroon 5, Wilson is bringing back the magic to Laurel Canyon, and promising the longevity of a proud timeless lineage. Enjoy these playlists, one with the Laurel Canyon originals and one showcasing Jonathan Wilson and his contemporaries. Rest assured that the Laurel Canyon sound isn’t going anywhere soon.